Preparing for Winter Weather in Seattle! 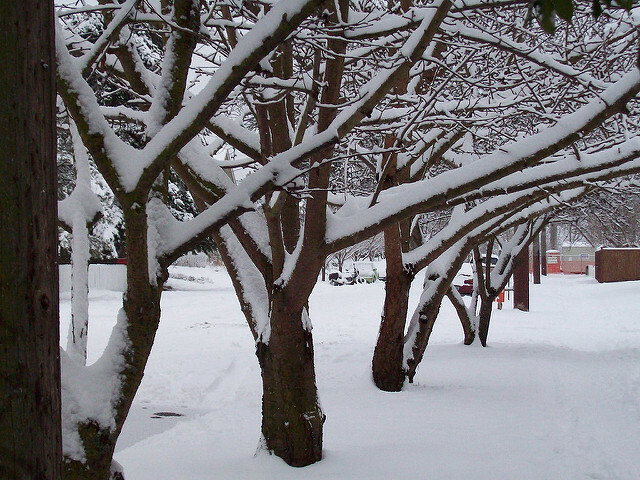 Preparing for cold weather before it happens can protect your home from any winter damages. Seattle is known for having fairly mild winters but ice and snow have its way of making an appearance. Protect your Seattle real estate investment and use these tips to keep your home safe and sound! If your chimney hasn't been cleaned for a while, call a chimney sweep to remove soot and other undesirable accumulations. It's best to cap or screen the top of the chimney to keep out rodents and birds. Inspect the fireplace damper for proper opening and closing. Also, check the mortar between bricks and tuckpoint. This step is critical for your health and safety. Inspect the exterior for crevice cracks and exposed entry points around pipes; seal them. Use weatherstripping around doors to prevent cold air from entering the home and caulk windows. If your home has a basement, consider protecting its window wells by covering them with plastic shields. It may be time to schedule a routine service on your HVAC system. It’s best to have a professional inspect your furnace and clean ducts. It's also a good idea to stock up on furnace filters and change them monthly. If the temperature falls below 32 degrees, adding extra insulation to the attic will prevent warm air from creeping to your roof and causing ice dams. This is a good time to inspect your roof for any leaks or worn shingles, consider repairing any damages. Clean out the gutters and use a hose to spray water down the downspouts to clear away debris. You may also want to install leaf guards on the gutters or extensions on the downspouts to direct water away from the home. Rake away all debris and edible vegetation from the foundation. Seal up entry points or cracks to keep small animals from crawling under and into the house. Secure crawlspace entrances. These measures help you keep tools ready when you will inevitably need them. Service or tune-up snow blowers. Replace worn rakes and snow shovels. Sharpen ice choppers and buy bags of ice-melt or sand. Clean, dry, and store summer gardening equipment. Locate your water main in the event you need to shut it off in an emergency. If you go on vacation, leave the heat on, set to at least 55 degrees Drain all garden hoses. Insulate exposed plumbing pipes. Drain air conditioner pipes, and if your AC has a water shut-off valve, turn it off. Store extra bottled water and nonperishable food supplies (including pet food), blankets, and a first-aid kit in a dry and easy-to-access location. Buy indoor candles and matches or a lighter for use during a power outage. Find the phone numbers for your utility companies. Buy a battery backup to protect your computer and sensitive electronic equipment. These small updates can make a world of difference, making your home more comfortable and energy efficient during the winter. If you’re in the market to sell your home, contact Scott Haveson for more tips on home improvements to help you get top dollar in this competitive market!